This is a RESERVED SEATING production. Parking is being directed to the Edward Gary Parking Garage is directly behind the Performing Arts Center. Parking is $3.00 per hour for the first 2 hours and then $2.00 per hour thereafter. If parking longer than 3 hours, a parking passes can be purchased online, or at the Box Office for $8.00 and will cover up to 24 hours of parking. Parking passes can be picked up AFTER you park. With a parking pass, at the end of the performance, you will do directly to your car (bypass the pay kiosk), and insert the parking pass at the gate. 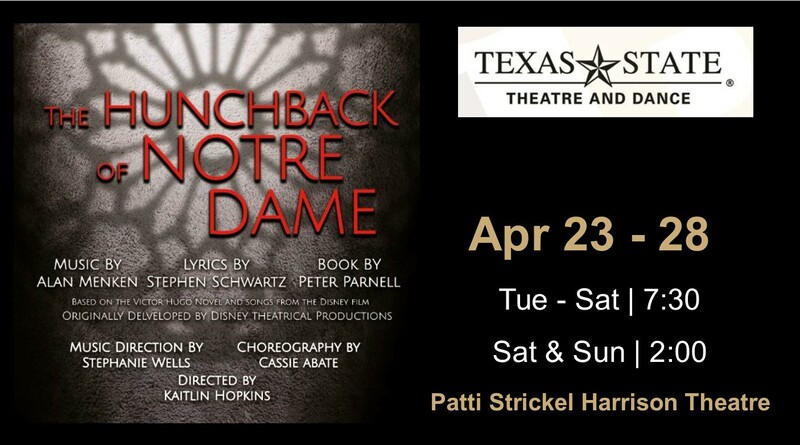 If accommodations need to be made, please, contact the box office at least 48 hour before the performance date. With so many things happening, don't miss out! All tickets are currently reserved or in carts pending purchase. Please check back.